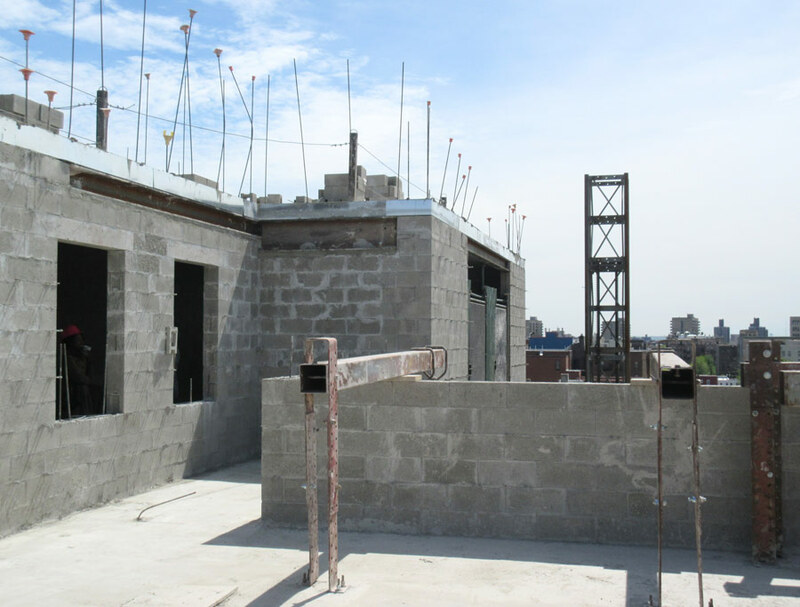 High on a hill in the West Bronx, the view from the top of COOKFOX‘s latest building plays tricks on the Manhattan skyline: One World Trade Center, the Empire State Building, and 432 Park Avenue seem to stand next to each other. 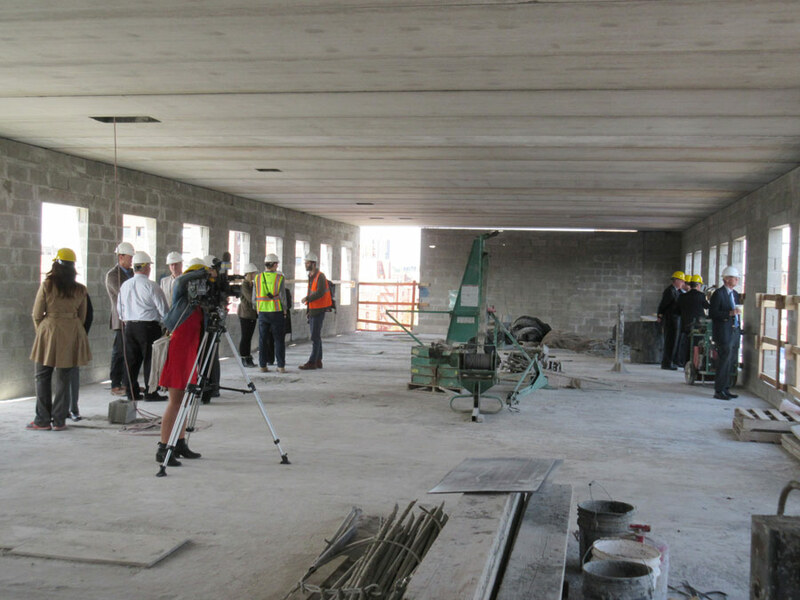 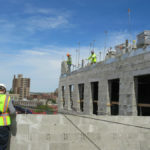 Next year, thanks to a nonprofit developer, hundreds of lucky residents will get to take in the view. 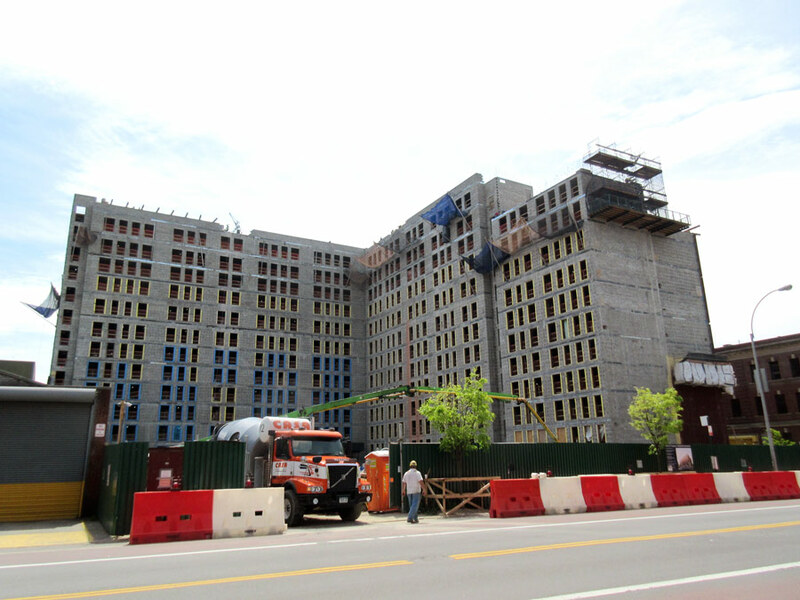 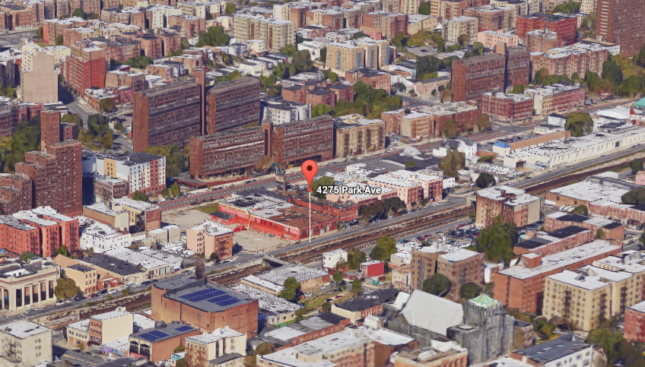 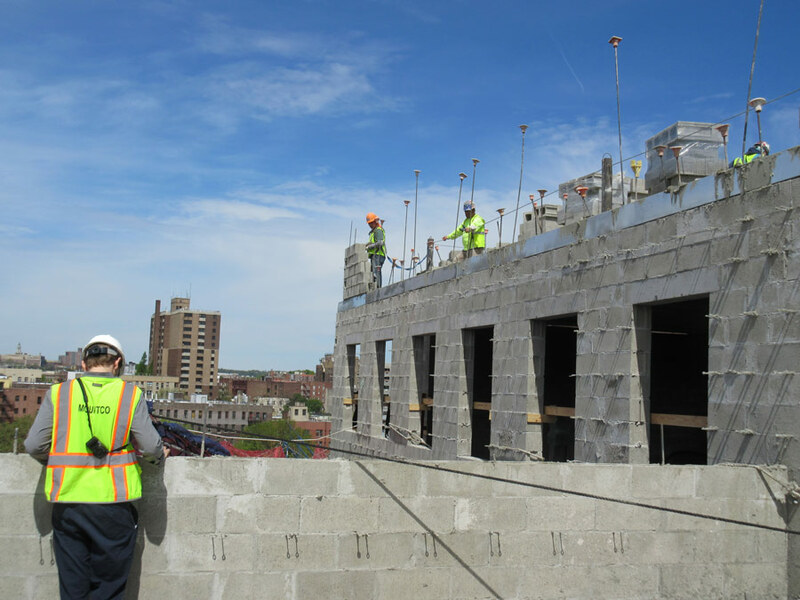 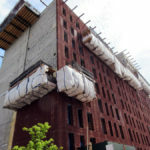 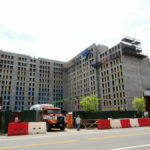 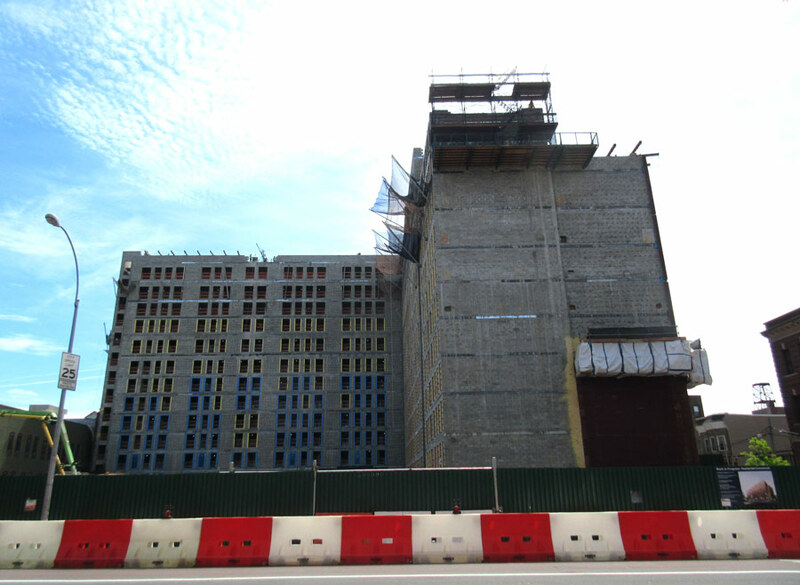 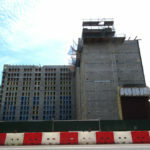 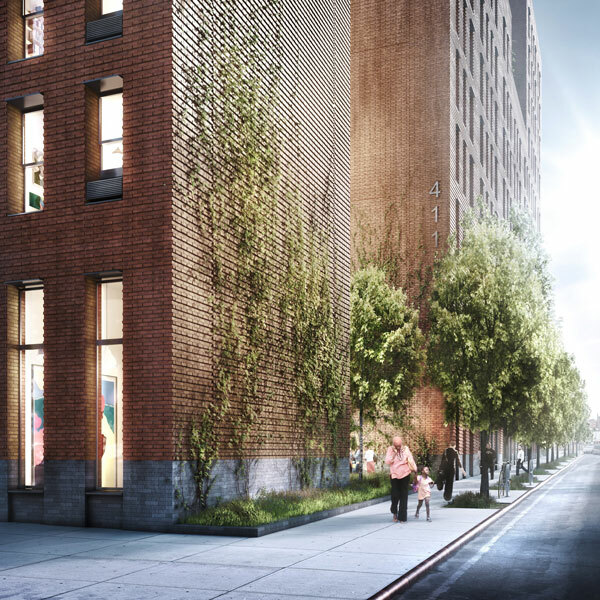 On Tuesday, the Bronx’s latest affordable housing development for low-income and formerly homeless individuals and families topped off. 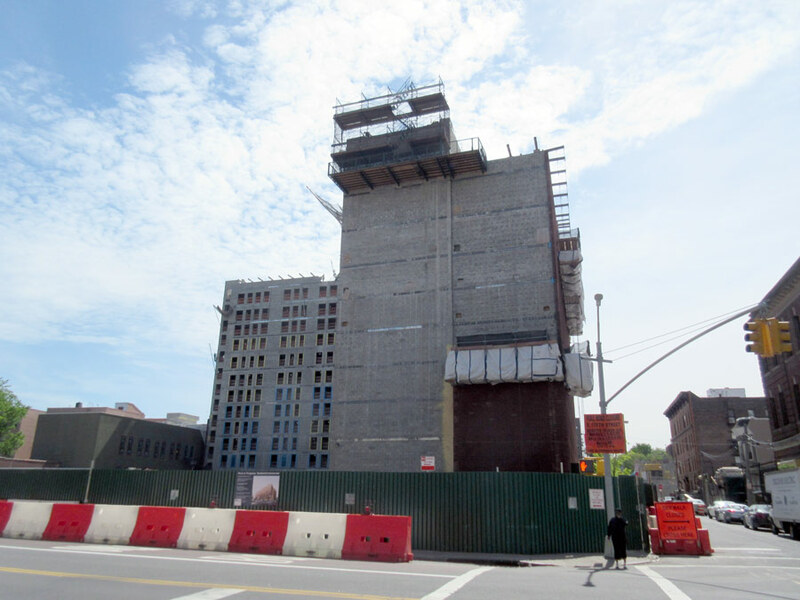 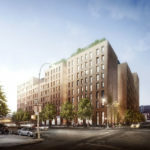 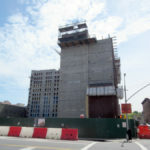 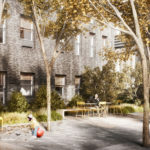 The homeless services organization Breaking Ground (formerly Common Ground) partnered with New York City–based COOKFOX to design Park House and Webster Residence, twin structures that provide supportive housing with on-site social services and community space that complement the residences. 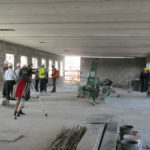 Citywide, Breaking Ground operates two transitional houses (390 units) and 2,899 units of permanent supportive housing. 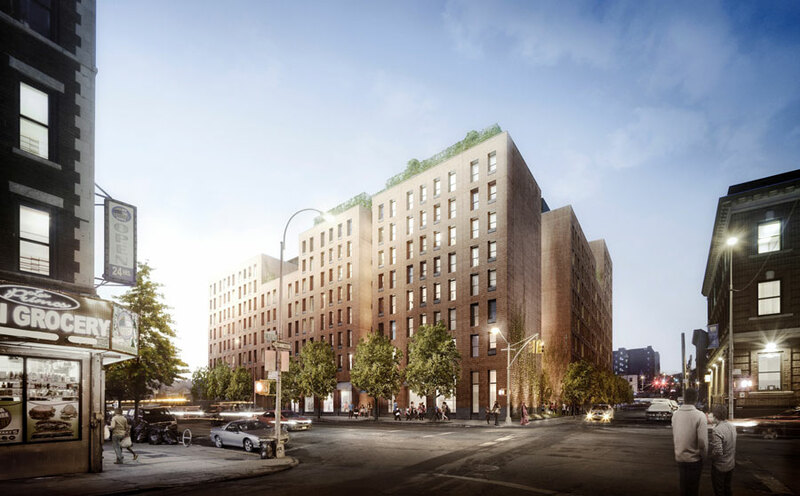 The new Bronx apartments offer “a sense of permanence, a sense of belonging to the streetscape,” explained Rick Cook, founding principal. 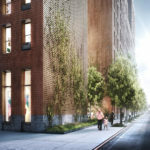 Both buildings in this latest development, set between wide Park and Webster avenues, incorporate biophilic design, one of COOKFOX’s guiding practices. 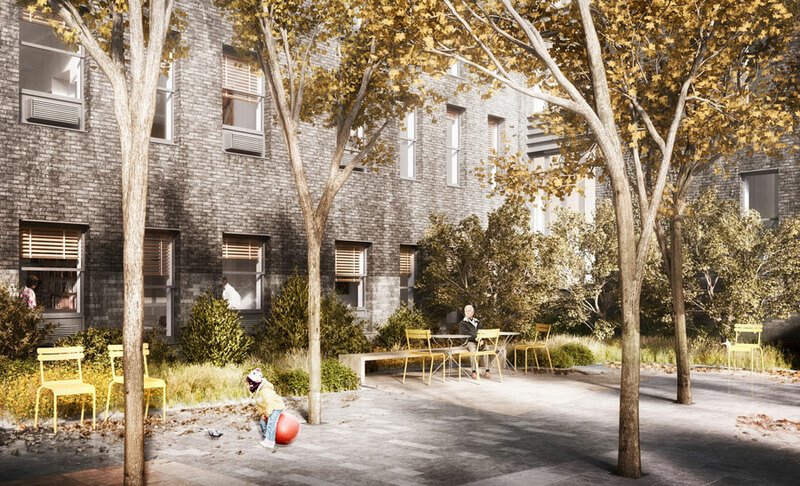 The approximately 102,000- (Webster) and 247,000-square-foot (Park) structures are arranged around a residents-only courtyard; common areas are oriented towards green space. 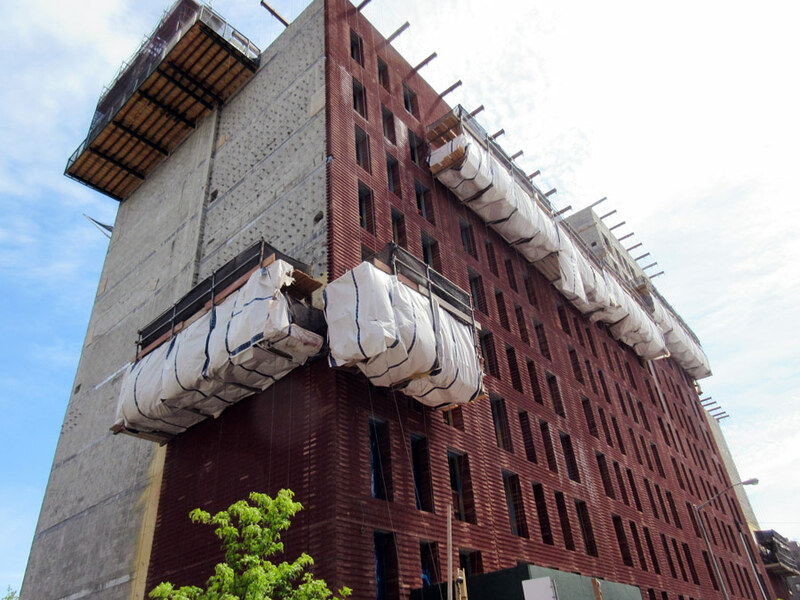 The warm brick and stone facade references the neighborhood’s grand turn-of-the-century apartment homes. 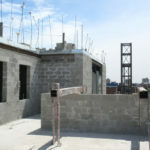 Recessed brickwork adds visual interest to the streetwall; up top, residents can access a green roof on the Webster Residence.